The U.S. retail market has been responding to the rapid growth of Amazon over the last few years. Most retailers have struggled to respond fast enough with a retail market that is scattered with casualties. Amazon has been on an upward trajectory and doesn’t look like it’s stopping anytime soon. This is down to them having an intimate understanding of the customer and heavily investing in innovation and testing. Because of this I was expecting doom and gloom: the closing of shops and the death of the shopping centre. I couldn’t have been more wrong. Legacy retailers are rallying (albeit slowly) and realising that they need to listen to the customer, understand what they want and really connect, rather than just saying they want to connect. Instead of trying to tell the customer what they should have and trying to force sales in store, there’s a realisation that customers are the ones dictating who the winners and losers will be with their spend. Loyalty is much harder to achieve now. Below are some observations and key points from the C-suite execs explaining what is giving brick-and-mortar retail the nitrogen boost it needs. The phrase ‘customer-obsessed’ was my favorite repeated retail strategy. Nearly all of the retailers that were winning, expanding and showing positive results used this phrase. We have all heard of omni-channel over the last few years—it is a simple way to get businesses to understand that all channels must work together—but the idea that the customer thinks ‘oh I’m going to shop my mobile channel now’ just doesn’t happen. We are in a new age of One Journey: a customer will research online, test in store, qualify with their community, then maybe purchase through Instagram and pick up the parcel from their local store. This is something we have integrated into how we design our retail experiences, so it was great to hear so many retailers getting their houses in order and starting to look at the retail experience like the customers do. 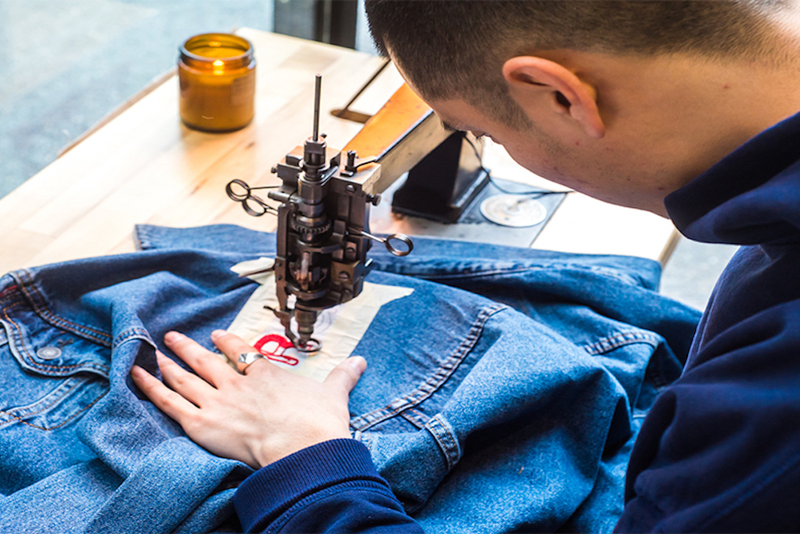 A great example of connecting all the touchpoints, in a campaign that connects online marketing to in-store experience and future online purchases, is Levi’s. Realizing that once their customer knew the fit they would easily purchase repeat orders online, they then needed to focus on how to engage with the customer on a human level to keep that face-face interaction that is so critical to long-term success. To do this, they turned their store into a tailor’s. Carrie Ask, EVP & President, Global Retail at Levi Strauss, explained how they began with two tailors who could customise and adjust your denim. They soon realised this was hugely popular and quickly employed another five tailors. The stories of people getting their customised items was feeding social marketing, driving online sales and getting customers into stores to customise their purchases. It was interesting to hear how at a director level they have changed the way online, retail and marketing connect their budgets. Because it is one streamlined journey they have now pooled their budget with a core focus on building long term relationships with customers. There was also a whole section mapped out around talks on China. China is a huge market with a rapidly growing e-consumer population. In 2010, China had 140 million online shoppers, the same as the U.S. At its current rate of growth, by 2020 China will have a staggering 891 million online shoppers, compared to 270 million in the U.S. The retailers coming out of China are pioneering omnichannel innovation and nearly all of them were conceived as digital native brands, Alibaba being the standout innovator talking at the show. North America VP & GM Lee McCabe spoke about creating a seamless online-offline experience, which they see as one shopping experience. In an age of the fast-paced changing consumer, retailers are learning from their tech brothers and sisters that they need to innovate quickly, fail fast, and try, try and try again. The age-old quote that ‘change is the only constant’ could not be more relevant in this new age of retail. The future customer journey is being hacked and experimented on at pace, to come up with exciting new experiences. Retailers are using the data they are gathering online and in-store to better understand the customer and their path to purchase. They’re also trying to gain emotional intelligence to connect with people’s lifestyles, to be able to serve them better. The experiments being deployed are varying in size from changing the store VM, through online local purchasing habits or inventing new touch points to better engagement to build a human relationship with the customer and their community. This is something M.Gemi is doing very well. We heard passionately from founder and CEO Ben Fischman about why getting the customer testing right is essential. They are using their showrooms to gain customer data to change their online experience, and visa versa, thus making a more seamless, engaging and efficient customer experience. The online brand realises physical retail is essential to the brand’s success. With this nimble store setup they can go in to test new markets and gather data with limited costs. Why are people doing this? Investing in innovation helps create efficiency, which frees up further budget for experience and connection, which gives sustained long term success. Did someone say experience? It was probably the most over-used word across the whole of Shoptalk. The various statistics around customers seeking experience has been rolled out over the last few years, and only now are some of the more established businesses coming to grips with what ‘experience’ means to them. The majority of digital native brands already know what experience means to them because they are so connected to their customer and to the online data that gets produced. Retailers need to listen to their core customer. What is it that you want to give back to your customer? What is it that will turn a person who likes the product into a advocate who loves the brand? It’s been frustrating to see slow and safe experimentation in this area from the large brick-and-mortar retailers who need the most engagement and reconnection to their customers. There were a few brands we could have used as an example here, but Sephora seemed to be the one that has its evolving brand experience down to a T. Its community can buy makeup brands wherever they want and search multiple price points, so there needs to be a reason for the shopper to choose a makeup retailer. In the Sephora experience you are welcomed as a guest visiting; retail associates and specialists are trained to advise on all of the products and beauty services. The Beauty Studio is where the customer can happily play with the product or freshen up before their night out. I’ve been to a few Sephora stores since being in the U.S. and it’s nothing but a welcoming engaging experience, even for a non-makeup wearer! According to Glossier founder Emily Weiss, the secret to online retail success is having strong connections with your community, and that dictates how successful you become as a brand. Glossier has gone from strength to strength after building its online community, and now has Glossier Showrooms where customers come to play with the products, get advice and connect with other members of the Glossier community. An unbelievably slick presentation deck by Nike talked about how they have created an exciting new platform using data and learning to provide engaging experiences for their community. 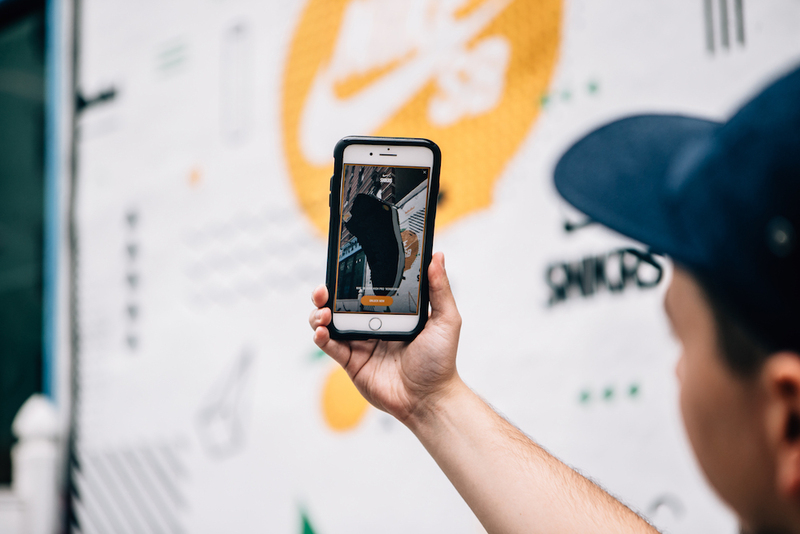 It connects sneakerheads through AR gaming and offers intriguing ways to find new products scattered across the city virtually. Nike’s Head of Digital Adam Sussman talked about getting back the excitement of hunting out products: being the one to find a new exclusive product and share it with your community. The SNKRS app has geolocated drops so only local customers can go out find the AR 3D products dotted around different locations. Once you find the product you can share it with your Nike community so they benefit from you finding the drop. This is a great blend of mobile in-app connection, mixed with geolocation, augmented reality and real-life experiences. It builds an excitement and human connection, which in turn builds loyalty and marketing stories of the future. Instagram, Pinterest, Google Pay, Houzz and eBay all talked about inspiring customers through lifestyle imagery. Instagram is now the new online department store. You can browse all your brands and order them straight from your app. On eBay you can input an image of the product you like and it will find you someone from around the world selling that product. Pinterest will similarly find what you are looking for based on you clicking a product you like in any lifestyle image that you love. “Shop the look” has never been easier, whether that be home, apparel and now even food—in the future, Freshly will order the recipe from an image. Image search is going into its next evolution of artificial intelligence, and we are going to see it, along with voice search, as an essential part of a successful retail experience. No doubt it is an exciting time to be in retail. The digital revolution has added a new dimension to how we shop and our relationships with the brands we connect with.